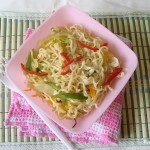 Noodles Recipes are always popular at our home, specially because of the various tastes and flavours. My recent finding is this broad noodle, which is a flat noodle. 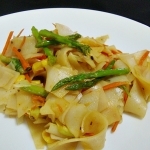 These flat broad noodles are often used in Chinese noodles recipes, and here in Singapore, it is easily available to buy. 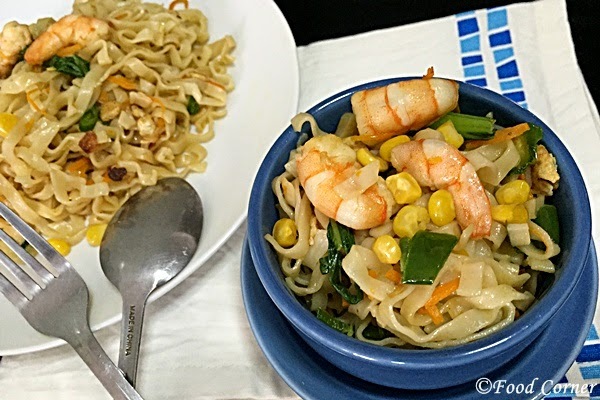 Among the Singapore noodles recipes, I decided to try broad noodles with tofu. Anyway, I had a doubt of the outcome of this noodle dish, but I am wrong. The taste was awesome. 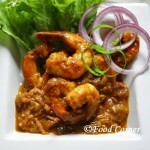 With Tofu I also added few prawns to get some seafood flavor for the dish. 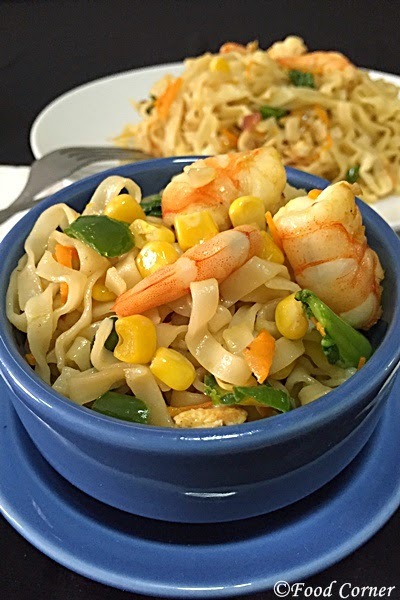 However, if you are a vegetarian, you can skip prawns and try this stir fried noodles dish. 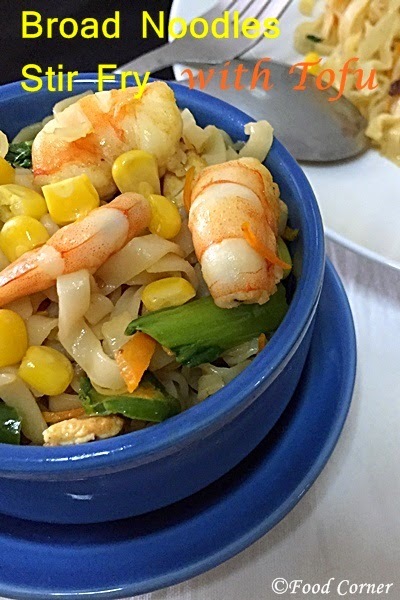 Here are few tips to cook broad noodles. To prepare the dish, you need to cook broad noodles in boiling water for about 3 minutes. Once cooked, drain water and rinse noodles with cold water. This will stop the cooking process of noodles. Also add few drops of cooking oil to the noodles to prevent sticking together. 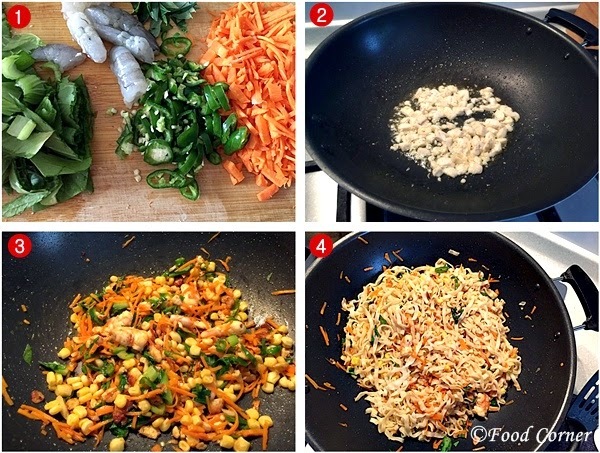 Once noodles are cooked and ready, you can stir fry with vegetables and other ingredients. 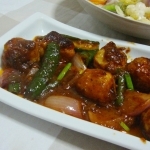 I used tofu and prawns as main ingredients for the stir fry, while using other mix vegetables to add more flavor and appearance. 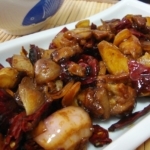 Below is my recipe for Broad Noodles Stir Fry with Tofu. Try it and let me know how the outcome is. Boil water in a pot. Cook noodles in boiling water for about 3 minutes or until cooked. Drain water & keep aside. Cut tofu into small cubes, keep aside. 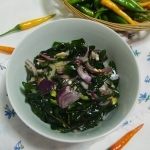 Slice carrot,green chili,also cut greens into small pieces. Keep aside. In a wok ,heat oil in medium heat. Add tofu and fry till golden brown.You need to fry about 4-5 minutes until tofu are golden brown. Then add ginger garlic paste and fry till aromatic. At this stage,add prawns,carrot,green chili and greens. Mix well and cook till carrot are soft. Add frozen corn to this and mix well. Then add cooked noodles, mix well. Finally add soy sauce. Mix well and cook for another 1-2 minutes. This dish looks delightfully delicious. Thanks for sharing your delicious dish with us at Inspire Me Monday at Create With Joy! I’m delighted to include you among our featured guests this week!